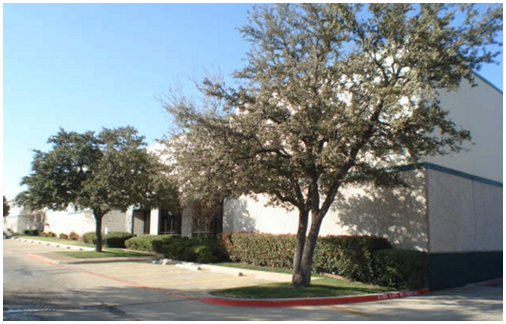 ​​IRVING – Gretzinger Investment Group LLC has scooped up the fully occupied, two-building Las Colinas Distribution Center in an off-market transaction. Las Colinas Distribution Centers 4 and 5, totaling 103,054 sf, are situated on a six-acre corner tract abutting the northern boundary of Dallas-Fort Worth International Airport. The structures are located at 3242-3250 N. Skyway Circle and 3241-3251 W. Story Rd. in Irving's Las Colinas submarket. The L-shaped property consists of a 22,154-sf, air-conditioned office flex design fronting Skyway Circle and an 80,900-sf warehouse facing Story Rd.. The new owner will soon begin exterior improvements to enhance the curb appeal of the 1980s-era buildings, which house five tenants apiece. ​Want ​more data? See DFW Industrial Market Research. Also see other Texas cities' industrial news under NewsTalk Texas.